Last fall I did a fun blog post on transitioning into a fall wardrobe from summer. 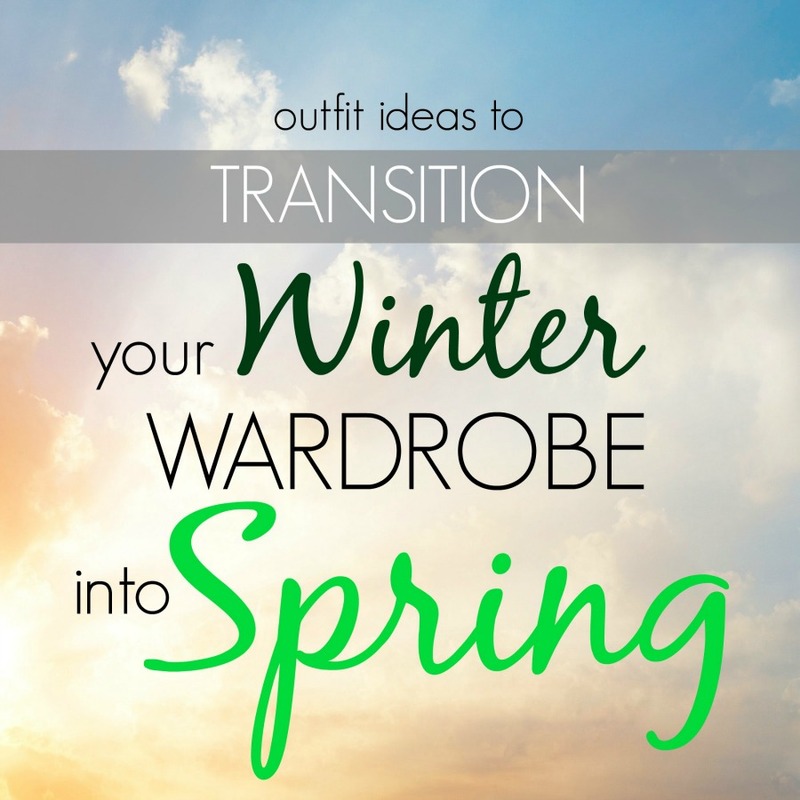 Seasonal transitions can be difficult but there are some really fun was to keep your look warm on those cool spring days but still bright for the new season. I've pulled together three looks that I think fit the season perfectly! For some reason spring always feels preppy and girly to me. It's time to break out those skirts you've been hiding in the back of your closet but there is still a crispy feeling in the air. You also don't want to feel like you're baking in the sun at the warmest part of the day. My suggestion? 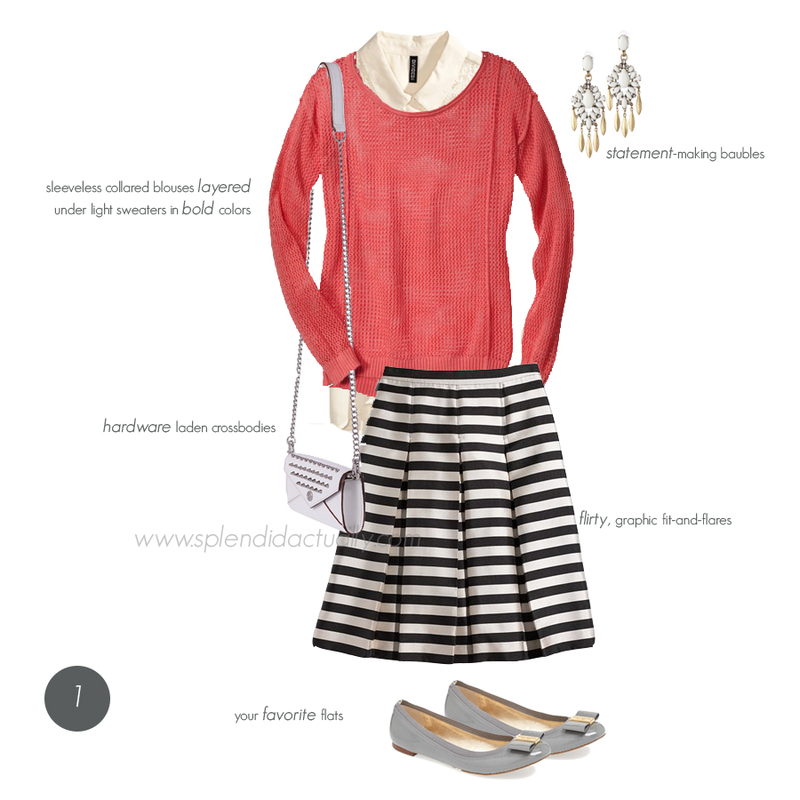 Pair a loose knit sweater with a sleeveless blouse. It will keep you cool and breathable but covered to block some wind. I love statement earrings for spring, either paired with loose wavy locks or a pretty pony tail. Also, black and white is a HOT spring trend. This outfit screams celebrity status if you ask me. It's just missing your favorite pair of sunnies. The smart, dark denim, with a black tunic provides a great canvas for a bright, floral print scarf, a chunky bracelet, and a bright bag. Since your feet have been in boots for what seems like years, treat yourself to a pedicure and show it off in some platform wedges. I love the brown leather paired with black. For a casual look, that is oh-so-easy, slip into a printed maxi dress and throw on your favorite cardigan. A long necklace, a leather bag, with your hair piled on top of your head and you are good to go! Shop all these pieces right here on my luvocracy board.